Cauliflower salad with parsley. Recipes from Russia. 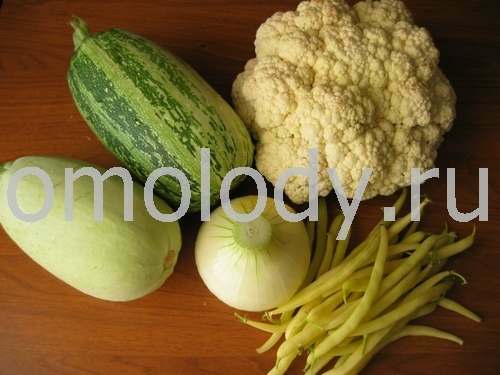 Description: There are two main ingredients in cauliflower that are the main disease fighters. These are indole-3-carbinol, or 13C, and the photonutrient sulforaphane. In research done at John Hopkins University in Baltimore, sulforaphane lowered the occurance of breast tumors in lab animals by almost 40%. Toxins that would normally damage the cells and turn cancerous, are swept out of the system by sulforaphane, preventing tumors before they begin. 13C works in concert with the sulforaphane by acting as an anti-estrogen. Estrogen in high levels is known to foster tumor growth, especially in the breasts and the prostate glands. 13c helps to lower the estrogen count, thus lowering the chances of tumor growth. Cauliflower also contains vitamin C and folate. Folate helps the blood work more efficiently and is often recommended for preventing anemia. Folate is also essential for proper tissue growth and not getting enough can make you succeptible to many diseases down the road such as cancer and heart disease. Vitamin C is considered an antioxident. When used alongside other antioxidents such as vitamin E and betacarotene, you can keep your immune system strong. Three florets of cauliflower a day will provide you with 67 percent of your daily vitamin C requirement. When purchasing cauliflower, make sure the tops are white. If the floret has begun to spot brown or purple, it is past its nutritional peak. Serving the cauliflower raw will give you the highest nutritional benefits. 50 g (1,8 oz) Cauliflower, broken into small florets. 50 g (1,8 oz) carrot, scrapped, grated. 2 tbsp parsley, finely chopped. 1. Mix grated carrot with small florets of Cauliflower. 2. Flavour with olive oil, parsley and honey. Stir thoroughly. 3. Decorate with Melissa leaves.